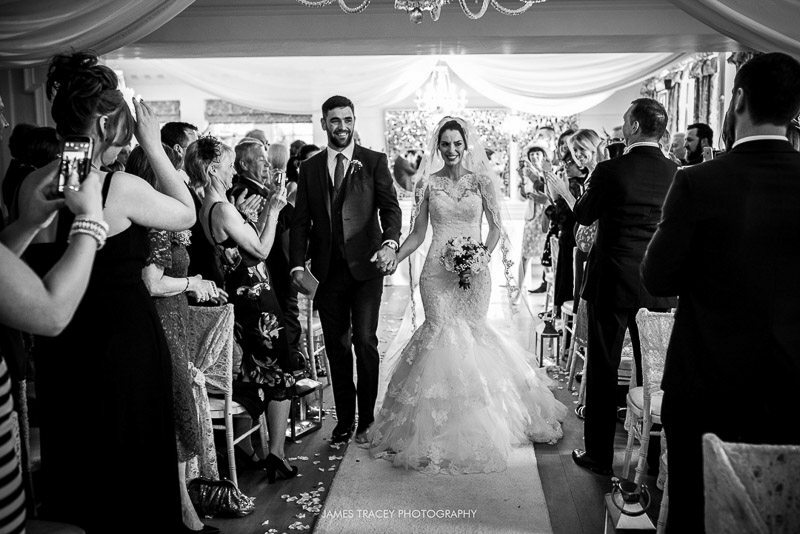 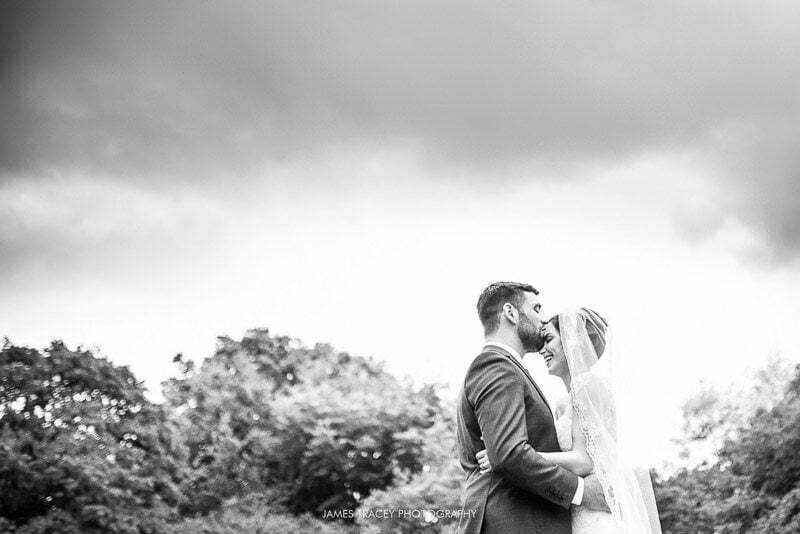 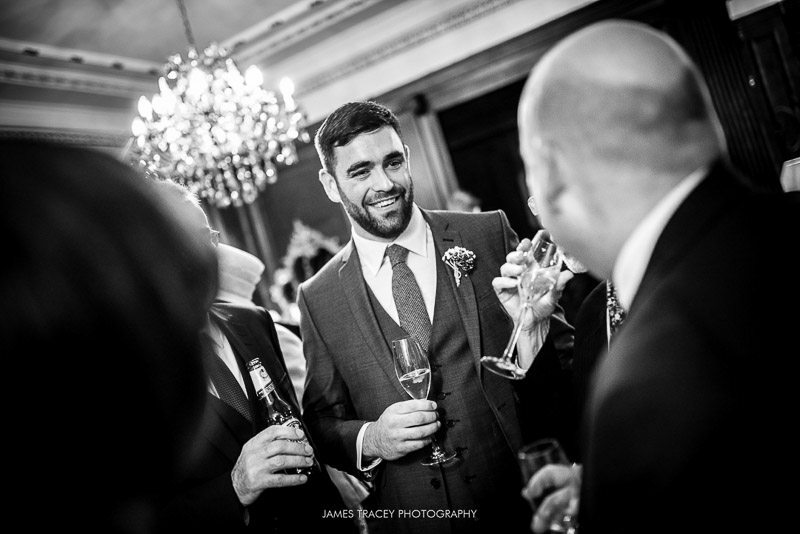 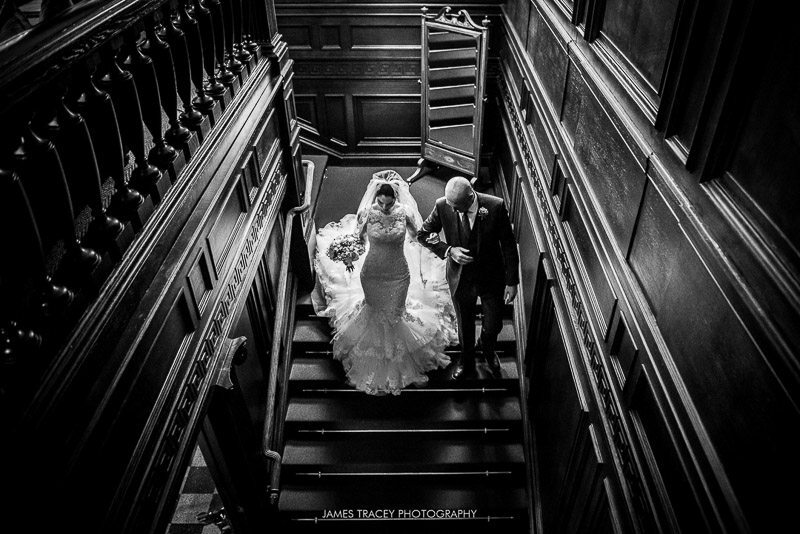 I was delighted that Cara and Mike booked me to shoot their Eaves Hall wedding photography. 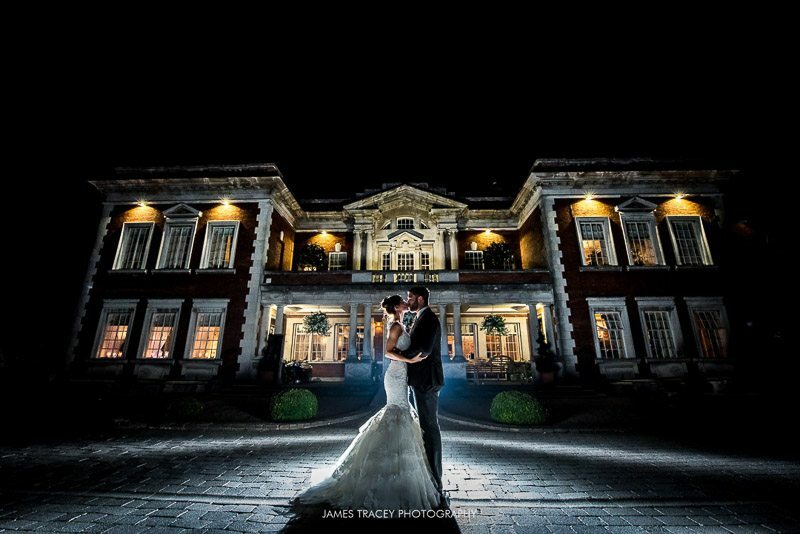 I’d been right to be excited about Eaves Hall wedding photography as it’s absolutely beautiful. 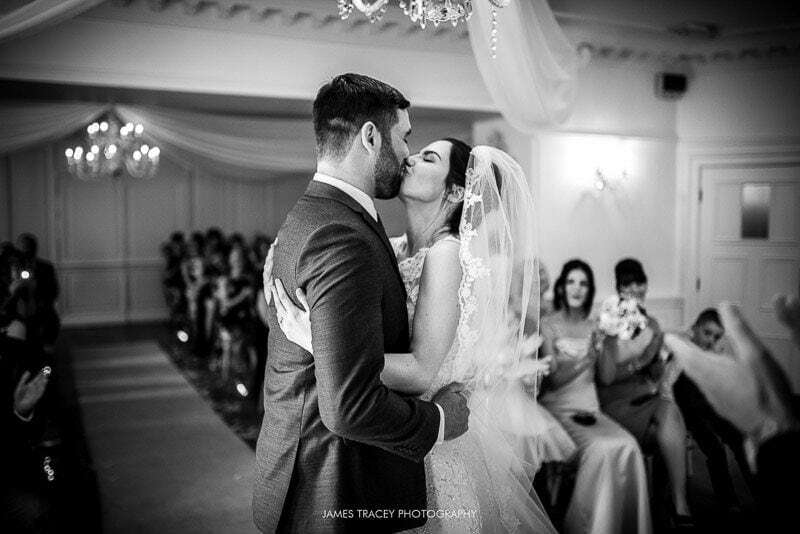 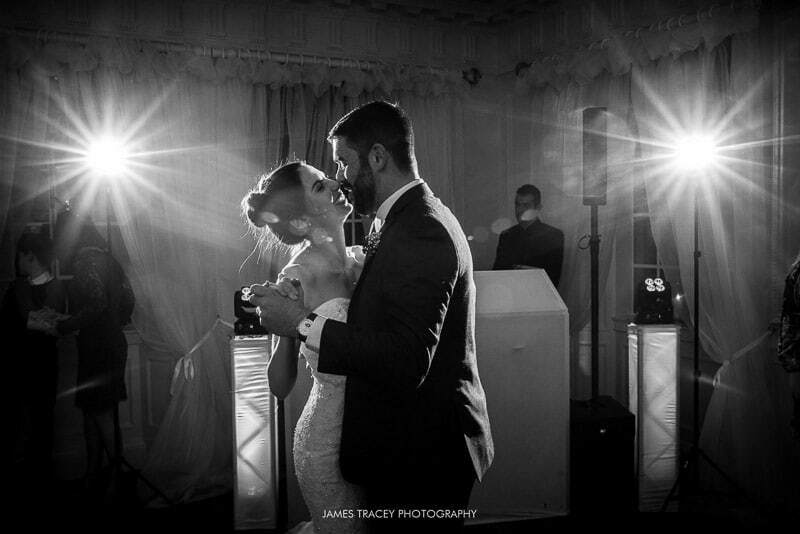 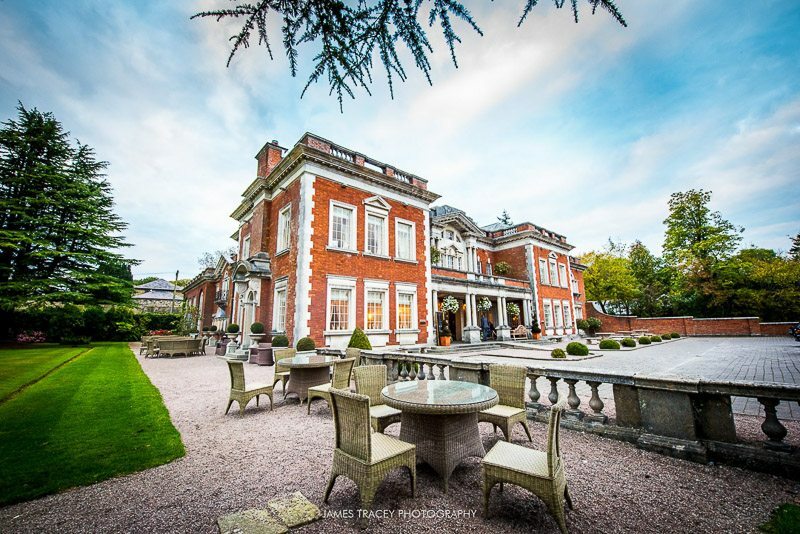 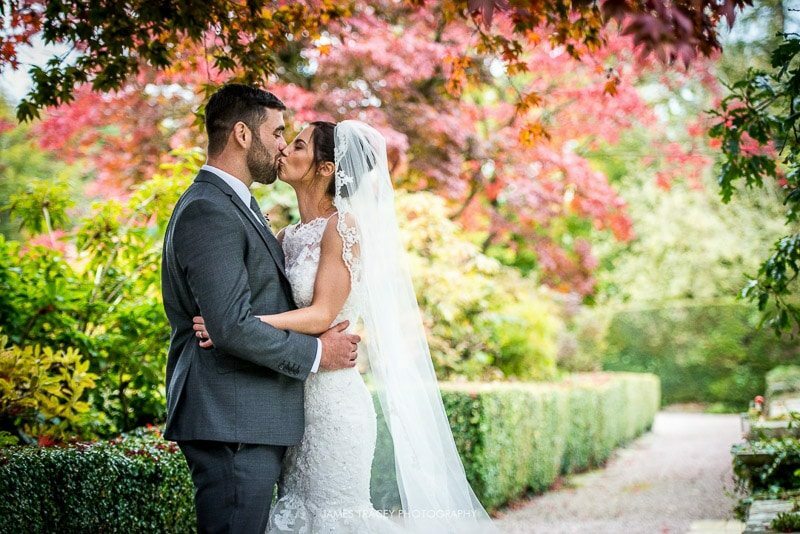 The decor is modern and very contemporary however most of all, Eaves Hall maintains a traditional, classic feel, perfect for modern wedding photography. 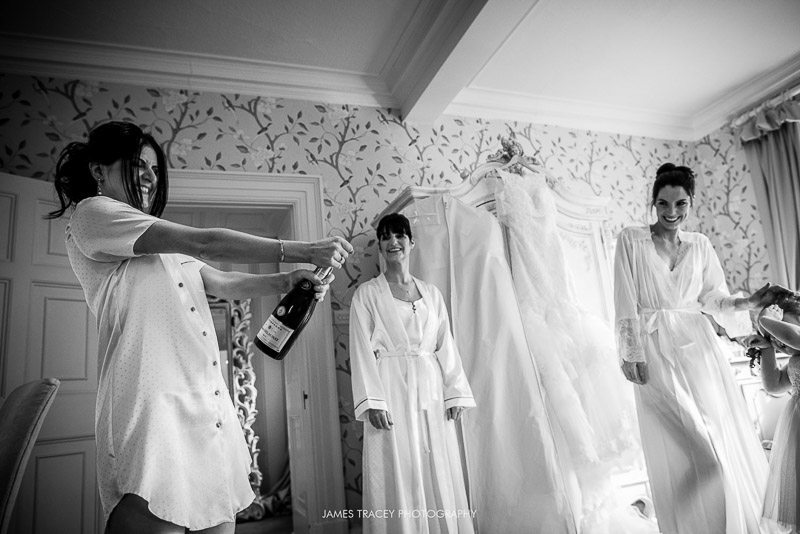 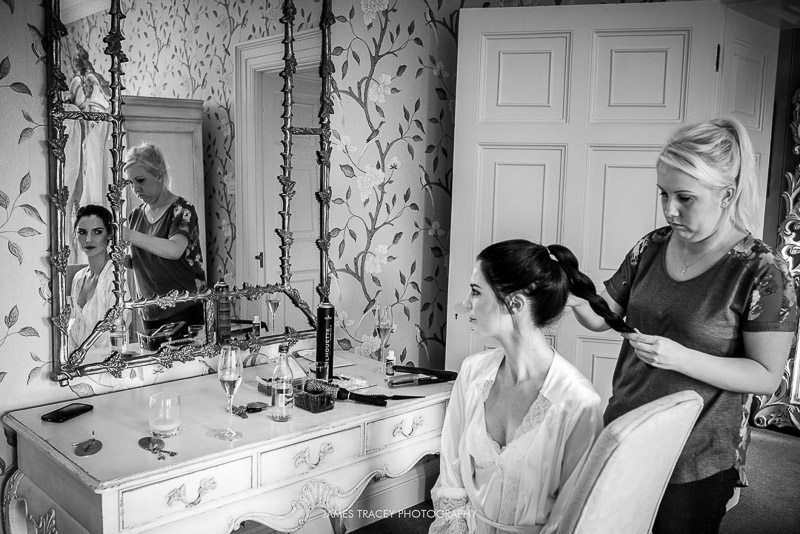 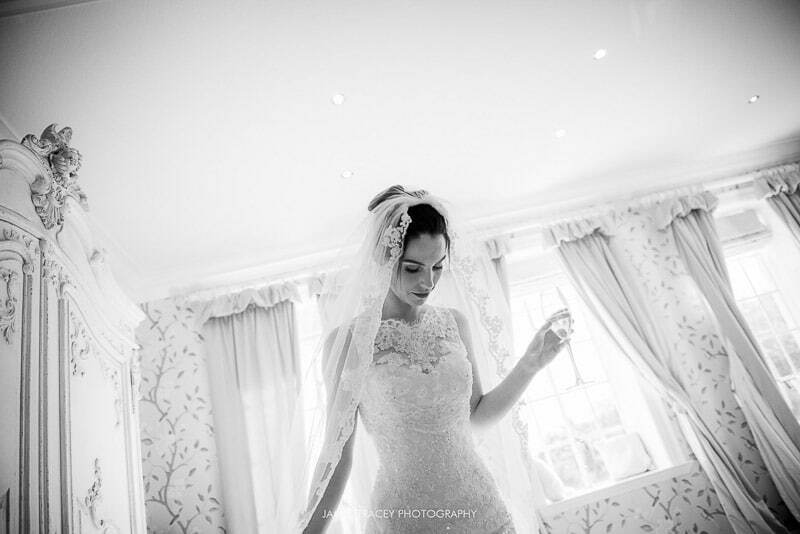 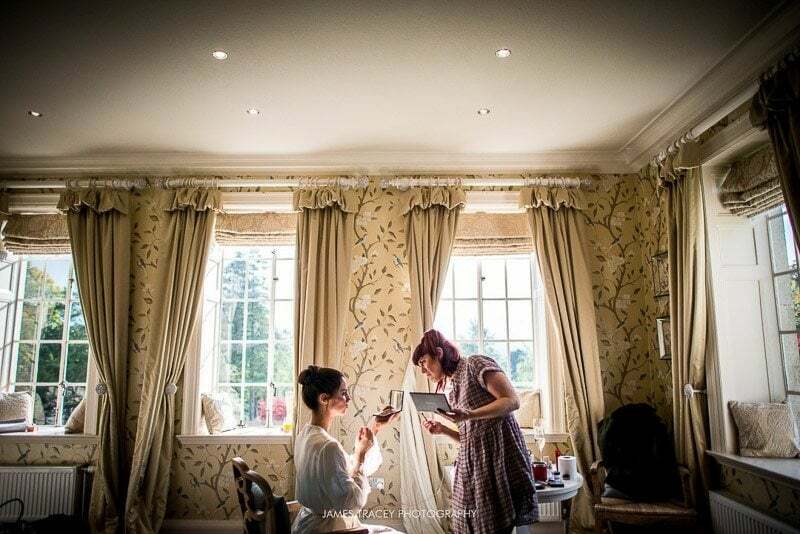 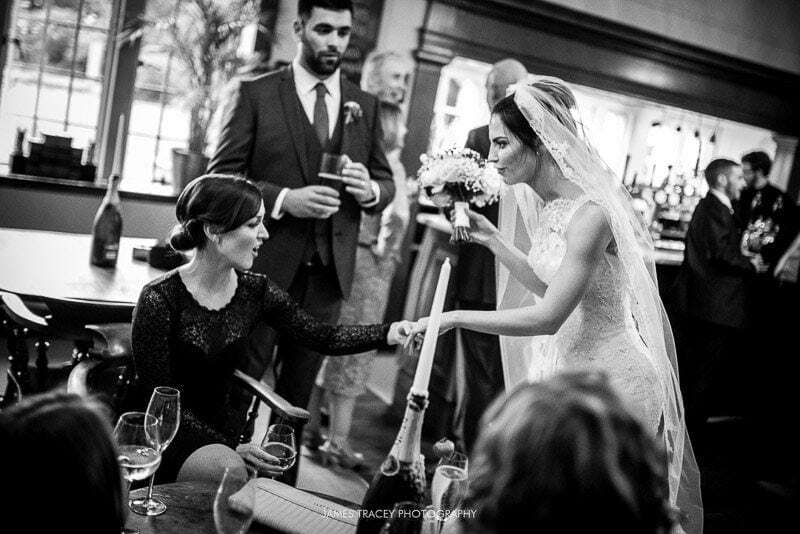 Cara, her sister and mum were getting ready inside the stunning bridal suite in Eaves Hall. 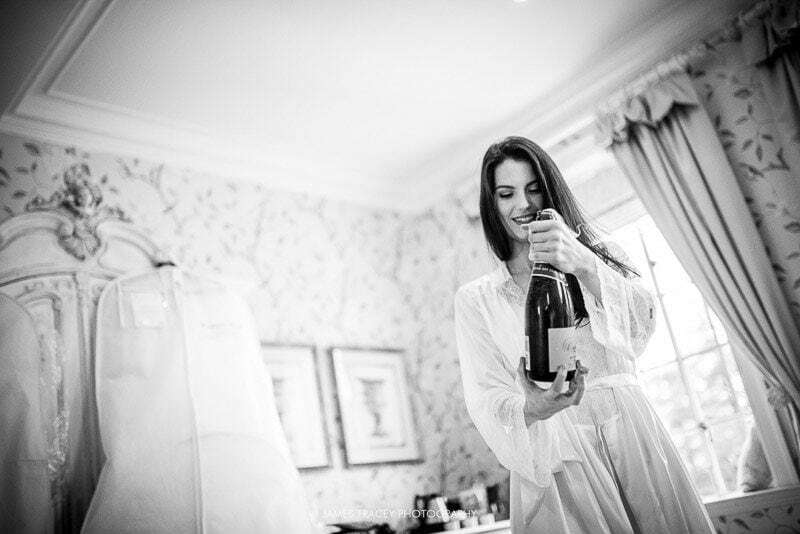 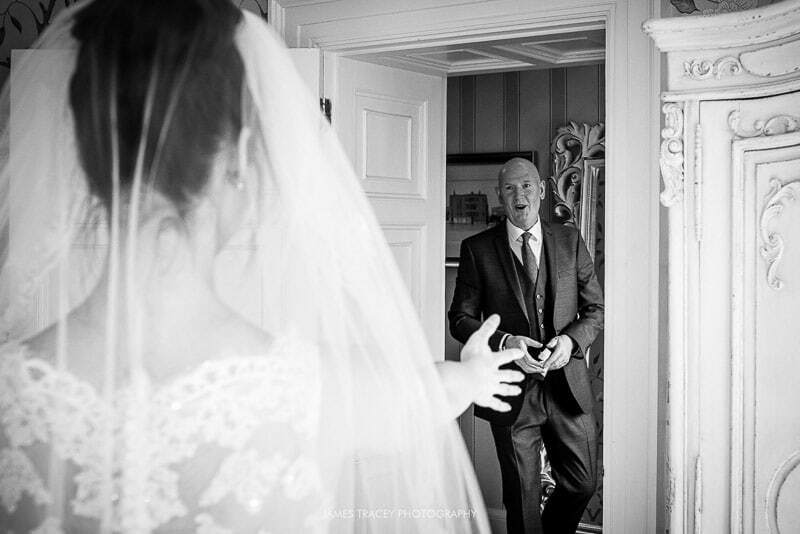 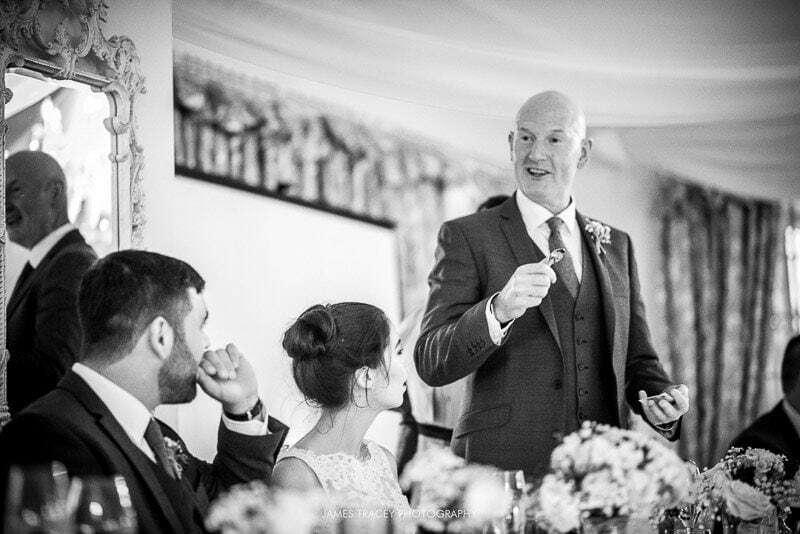 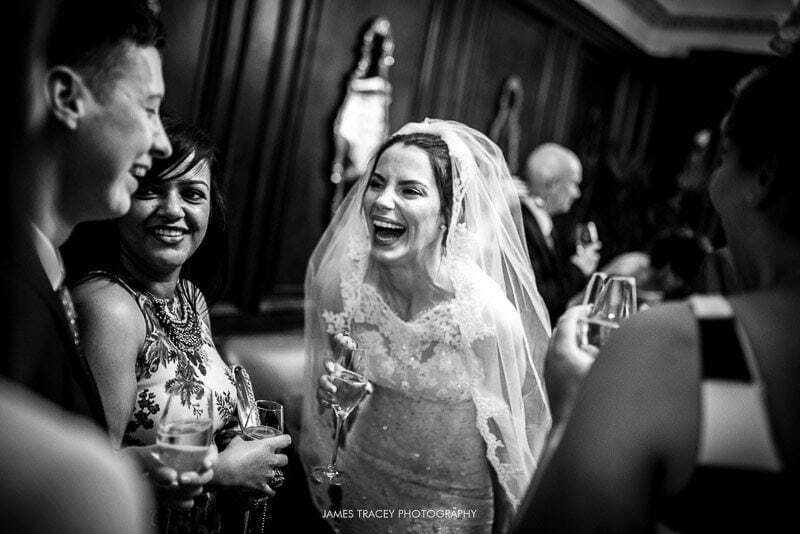 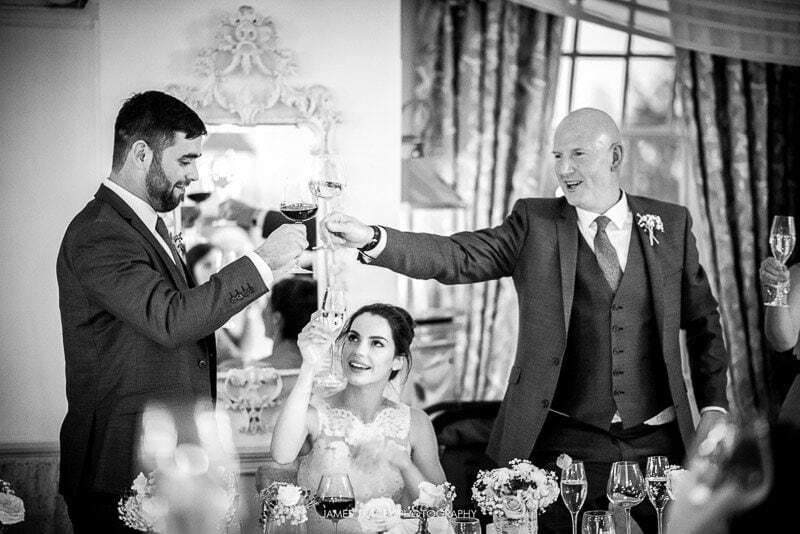 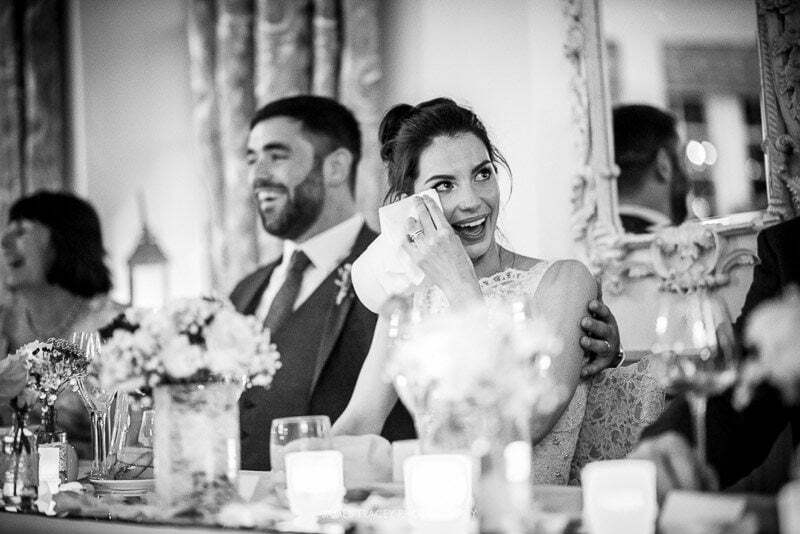 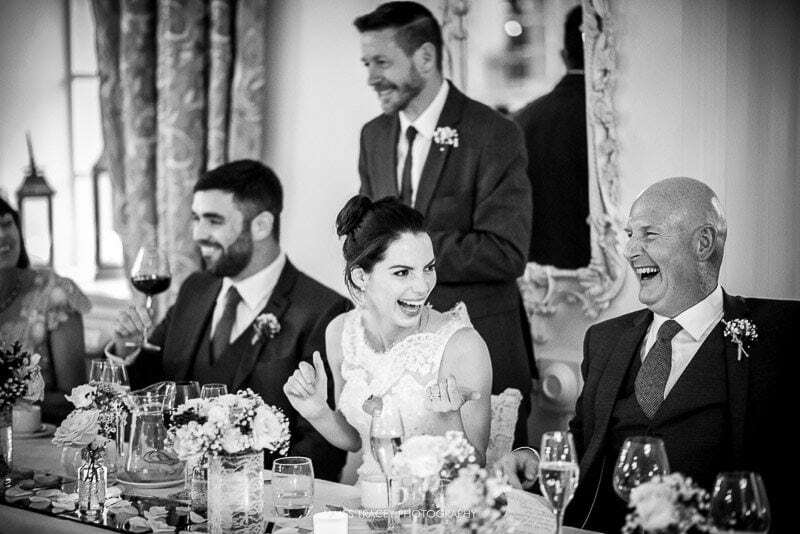 There were plenty of laughs and more than one bottle of fizz being popped open before Cara’s dad arrived to see his daughter in her wedding dress for the first time. 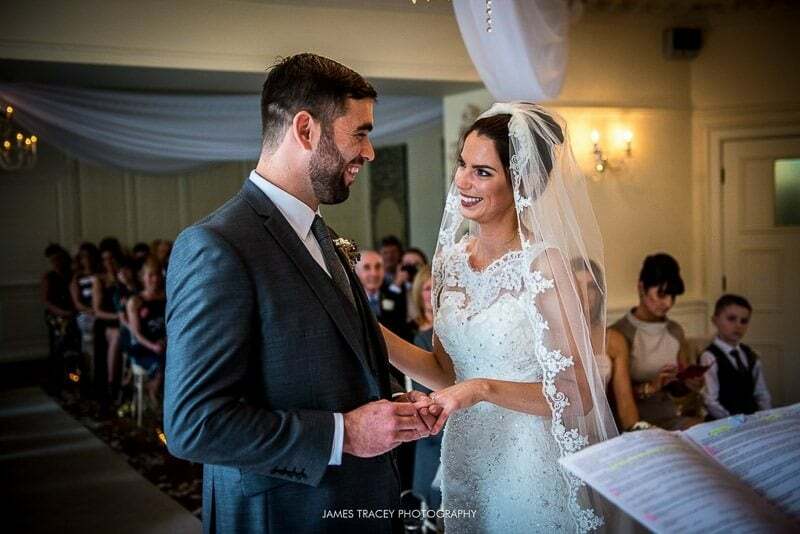 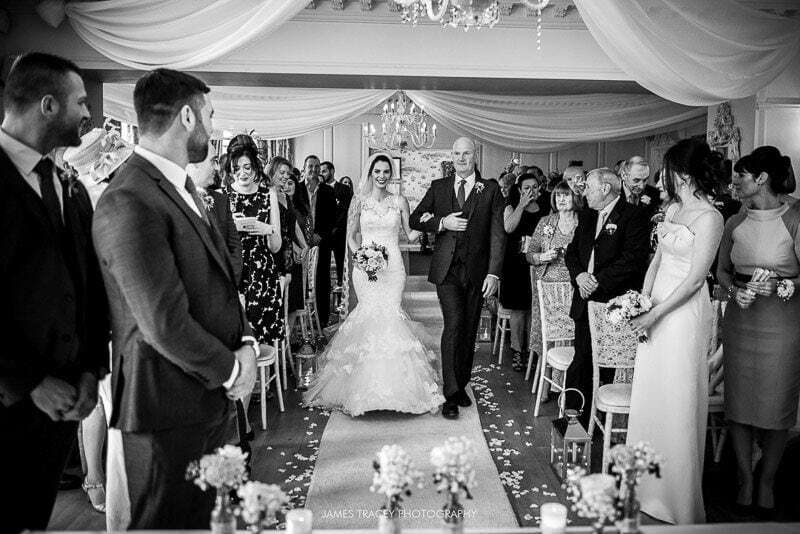 I love the photo of Cara being walked up the aisle by her proud dad, both of them with huge beaming smiles as Pianist Wayne Gorner (who is Cara’s piano teacher) performed one of my favourite piano pieces, Il Giorni. 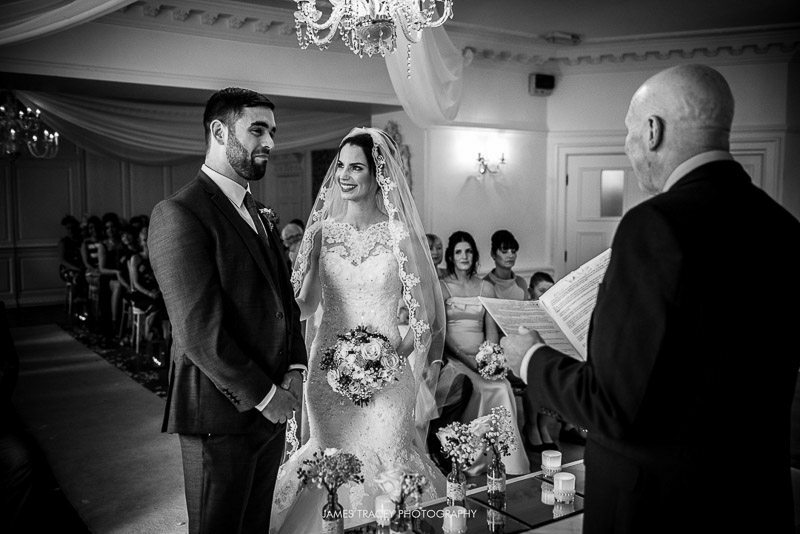 The marriage service was wonderful with plenty of laughter, hugs and the occasional tear. 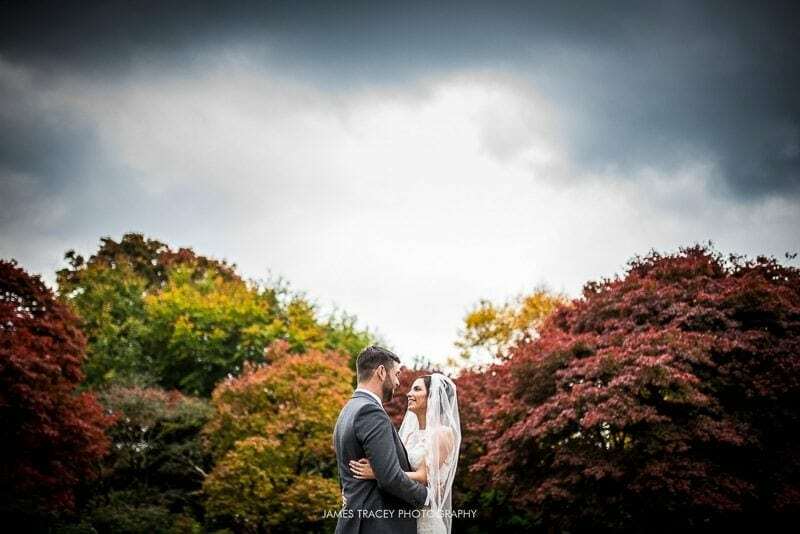 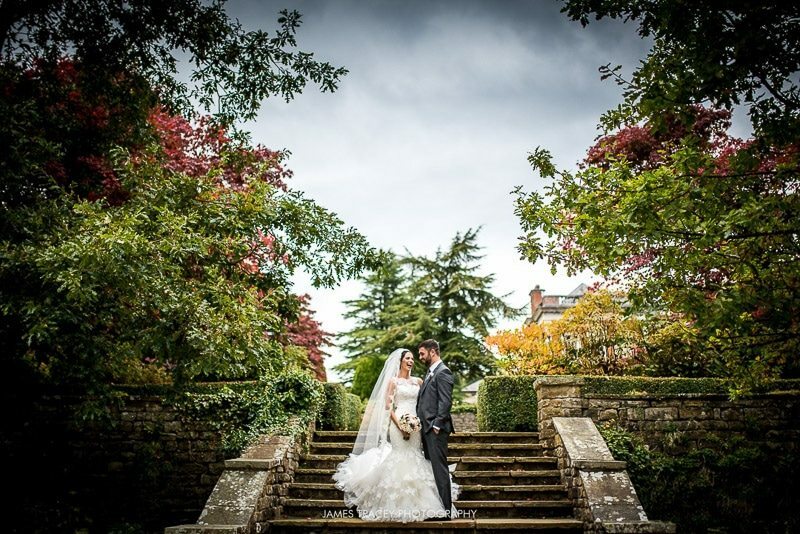 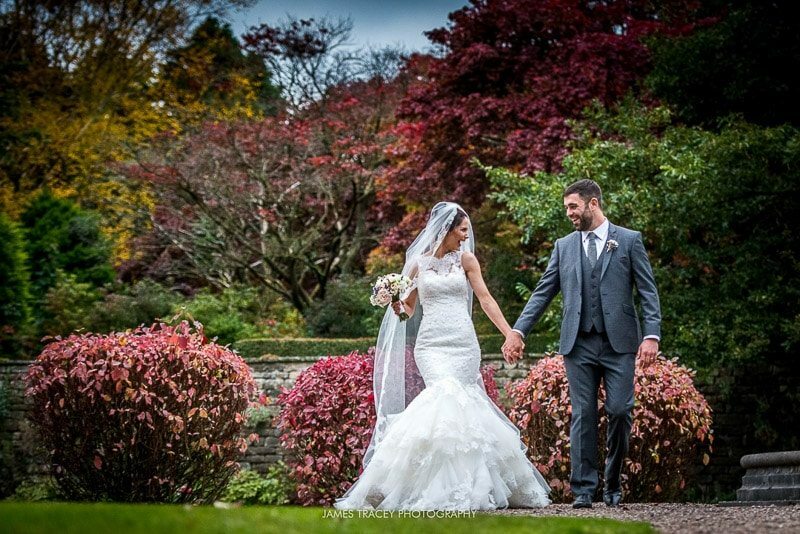 After the marriage service, Cara and Mike enjoyed twenty minutes of natural, relaxed wedding photos in Eaves Hall’s stunning grounds as the autumnal colours added something extra to the couple photos. 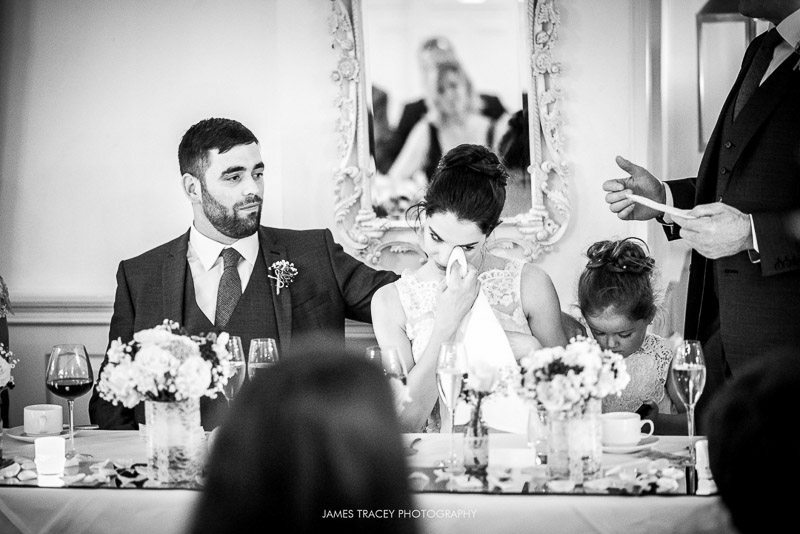 The wedding breakfast followed and featured some emotional wedding speeches with quite a few of the guests reaching for their hankies.